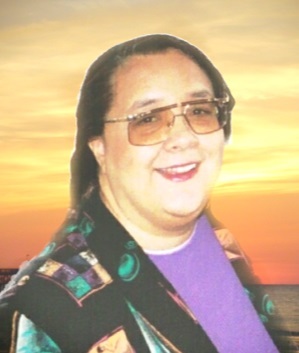 Obituary for Cammie L. Laird | House of Wheat Funeral Home, Inc.
Cammie L. Laird, age 66, born on March 19th, 1952 in Alexandria, Virginia, passed away unexpectedly Thursday, August 23rd, 2018. Cammie was an advocate for higher education, earning a Master's of Business Administration degree from Ohio State University (1987), as well as an Master's Certificate in Project Management from George Washington University School of Business (1997). Cammie was an astute business professional with 12 years experience in service-oriented management at NCR. While at NCR, she held positions in financial planning and analysis, accounting and operations.She was frequently recognized for outstanding performance throughout her career. Cammie was a member of the Alliance of Black NCR Employees, Inc., and held several leadership positions. She was acknowledged for developing the "Power of One" mentoring program, which connected African American employees with Senior NCR executive mentors.Cammie's leadership in the Alliance was a reflection of her commitment to providing career opportunities for employees of color.Cammie received many honors and accolades.To name a few, Cammie was awarded the NCR Global Diversity Leadership Award Recipient (Outstanding Leadership in Education); as well as the Winner of the 1998 National Alliance Outstanding Member Award.Cammie was a strong activist for diversity and inclusion at NCR and in the greater Dayton community. Cammie spent much of her life studying and living the Messianic Faith, and was an active member of the Shalom Al Yisrael Messianic Congregation. She was also active in Community Outreach as Board member and Corporate Officer of Jehovah-jireh Ministries International, Inc., a 501(c)(3) non-profit organization that provides shelter, utilities, food, clothing, as well as spiritual and life skills training for homeless families. Cammie was a part of the Advisory Board of Project Reach Prison Ministries, Inc.’s Community Inner-City Ministries (2000-2001), providing consulting services and administrative assistance to the Director resulting in the publication of its Y-CAP Handbook (Youth-Crime Alternative Program) and teaching a class once per week in Biblical Principles of Personal Finance at the Wesley Community Center in Dayton, Ohio. She was a Member of the Board of Trustees of Partnership for Youth, Inc.(June 2002-2003). Preceded in death by her mother, Hilda L Dean; sons, Antonio A. Dean and William L. Laird, Jr.; ex-husband, William L. Laird, Sr. Cammie leaves to cherish her memory her son, Justin Daniel Laird, Sr. of Dayton; daughter/granddaughter, Auvironna A. Laird; brothers, Ronquillo M. Dean of Marietta, GA and Carrillo I. Dean of Waverly, VA; eleven grandchildren; aunts, uncles, nieces, nephews, cousins, numerous "adopted" relatives and a host of devoted friends.